While the French or Italian's might lay claim to being the most romantic on the globe, we can say with complete certainty that it's in fact the Spanish that are hot blooded and we know romance. 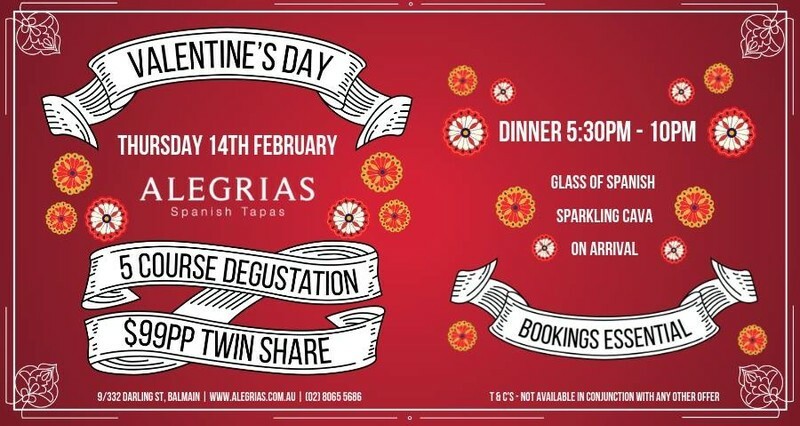 Celebrate this Valentine's Day here with us at Alegrias, and treat your lover or other to an evening out. 5 delicious courses, including a sparkling glass of Cava per person on arrival. Bookings are essential, so come celebrate a special evening with us.